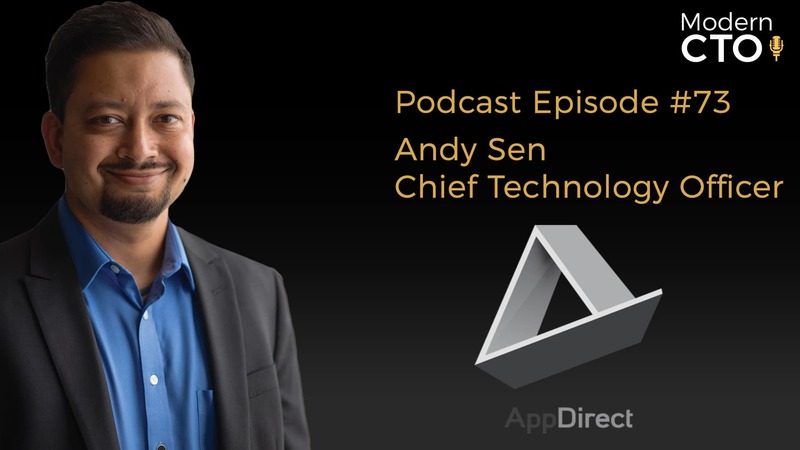 Today we are talking to Andy Sen, the CTO of AppDirect, and we discuss Being accountable to yourself, AppDirect’s platform for innovation and why individual ownership is one of the core values at their company. All of this right here, right now, on the Modern CTO Podcast! Andy joined Nicolas and Daniel as the technical co-founder of AppDirect in 2009, and currently leads the Engineering team. Andy is a long-time proponent of Agile software processes and rapid development cycles with over 15 years of eCommerce and web application development experience. Previously, Andy headed product management for Salesforce.com’s AppExchange marketplace. He has also been responsible for implementing the world’s first and largest digital photo print-to-store service at Walmart.com. Andy graduated with a bachelor’s degree in computer science from the Georgia Institute of Technology and started his career as a consultant for the eBusiness group at IBM Global Services. In his free time, he enjoys traveling with his wife and family. Take the time to look at the pioneers in the field and apply the things that are applicable. What pumps you up the most about AppDirect – Global Trend Businesses using more cloud software.